It is a great challenge of the 21st century to provide the best possible universal health care at the lowest possible cost. It's in fact a dual challenge. 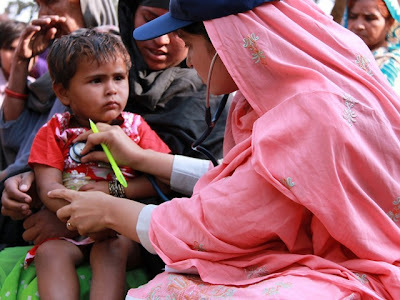 While aging and obesity related diseases are the dominant concern in the West, there is continuing worry about more basic issues of hygiene, vaccination, nutrition and access to health care professionals in the developing world, including South Asia. What is common between these two is the increasing reliance on technology. Vision 2047 from WBT TV on Vimeo. Pak Lady Health Workers "Best in the World"